Day 161 – I am grateful for Sophie’s pretty new backpack that her cousins sent her. Day 162 – I am grateful that this little lady is doing well at preschool and has continued to cope well with preschool despite having to adjust to life without her big sister. Day 163 – I am grateful that Sophie is enjoying using her I-Spy books to spot wild flowers on the walk back from preschool. Day 164 – I am grateful that today’s antenatal clinic appointment was a vast improvement on the last one. Peanut looks on the smaller side of average but seems to be growing nicely. I have a new consultant who is much better than the last one. He was empathetic, asked about whether we had support and made sure we knew where to access it if needed and gave information in a very clear way, making recommendations rather than using words like “allow” and making sure outstanding tests and info are chased up as quickly as possible. So much happier with the care received today and the knowledge that all future clinic appointments will be with him so I’ll have that continuity of care in clinic too. Day 165 – I am grateful that Sophie is talking more about Jessica. She now has the photo blanket on her bed and said “goodnight Jessica. I love you. You’re my favourite little girl” when she went to bed tonight. She also shared some of her memories from the night Jessica died. It is good that she is starting to open up more and that having Jessica’s photos on the blanket seems to bring her comfort and make her sister feel closer to her. 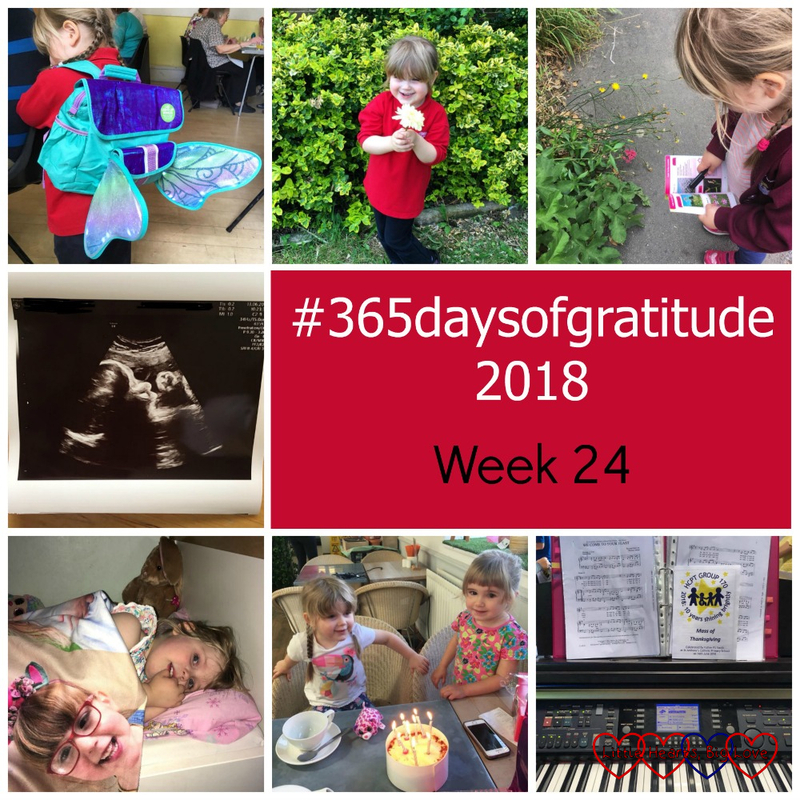 Day 166 – I am grateful for an impromptu and unexpected second birthday celebration while catching up with a close friend at soft play. I found it very hard to celebrate my actual birthday several weeks ago but this extra one was a little more enjoyable! Day 167 – I am grateful to have been a part of the 10th anniversary celebrations for HCPT Group 170 today. This week was the first time I have played the piano since Jessica died and the first time I have played with a band for a group of singers. I was quite nervous about it but it went well and was a lot of fun. So glad to have been a part of such a lovely day.